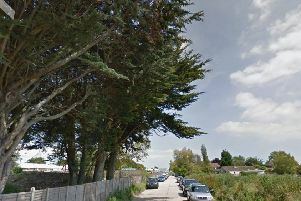 Police are searching for the driver of a car which left the road and ended up in the garden of a home in Lancing. A silver Nissan Primera left the road in Crabtree Lane in Lancing on Sunday morning and crashed into the farden of a house in Boundstone Lane. The incident occurred about 6.15am, police say, when the car failed to negotiate the left-hand turn in Boundstone Lane. The driver ran from the scene. He was described as white, in his mid-twenties and wearing a light grey anorak. There were not reported to be any passengers, police say. Enquiries are being made to trace the owner of the car. Sussex Roads Police had previously tweeted an image of an incident in Boundstone Lane on Sunday. Members of the public can also report information online or call 101.